Shootback is proud to partner with Shout Mouse Press, a nonprofit publishing house for unheard voices that promotes diversity in literature by empowering underrepresented communities to develop and write their stories. Shootback helped young authors from Ballou High School and Beacon House to produce photos for two Shout Mouse Press books – How to Grow Up Like Me and Trinitoga: Stories of a life in a rouged up tough love no good hood. These books are available for purchase online, with all proceeds going towards new Shout Mouse Press projects which help amplify new voices. How to Grow Up Like Me: The Ballou Story Project is the result of a six-month writing project at Ballou High School in Washington, DC, in which eleven dedicated freshmen and six determined seniors told their stories of ambition and struggle in what came to be known as ‘The Ballou Story Project.’ The freshmen were students in AVID, a college-preparedness program, who gathered voluntarily every week at lunch-time to write and revise short personal stories about their lives. The seniors were some of Ballou’s esteemed student leaders who were crafting their college essays and wanted to share their stories with other aspiring change-makers. 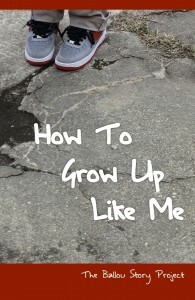 Together their poignant, powerful voices come together to tell a collective story of How To Grow Up Like Me, a kind of instruction manual for determination, grit, and daily acts of hope and courage. 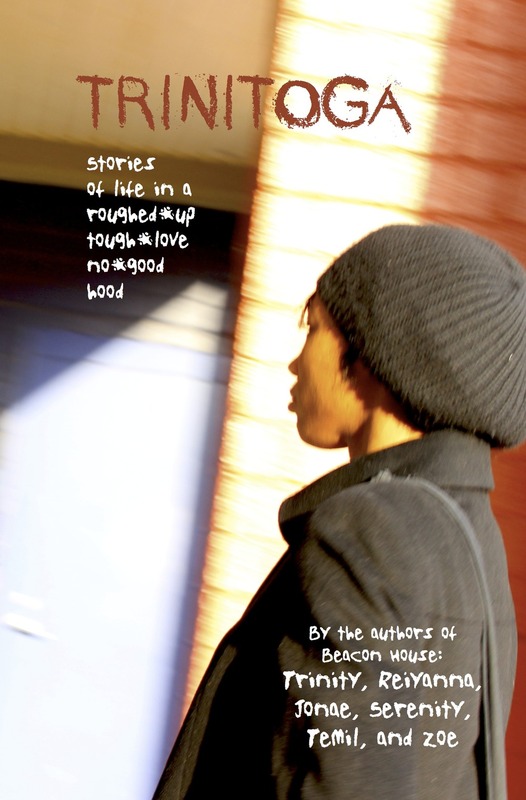 Trinitoga: Stories of Life in a Roughed-Up Tough-Love No-Good Hood is a novel-in-stories by fifth and sixth grade authors from Beacon House, a community youth center in northeast DC . These young writers created a fictionalized neghborhood–Trinitoga–and populated it with an endearing and heartbreaking cast of characters, not unlike people they have encountered in their own lives. We begin with “Shoota,” the gun-wielding “King of the Hood” whose transformation we witness from a sweet and trusting 8-year-old boy to a hardened angry man deserving of his nickname. We meet the mother of his children, Baquisha, who cares about her kids and tells them to do the right thing, but can’t set a good example herself. We meet their kids–Rude Boy, Rude Girl, and Tianna–all of whom struggle between love and disappointment and anger in their relationships with their parents and with each other. 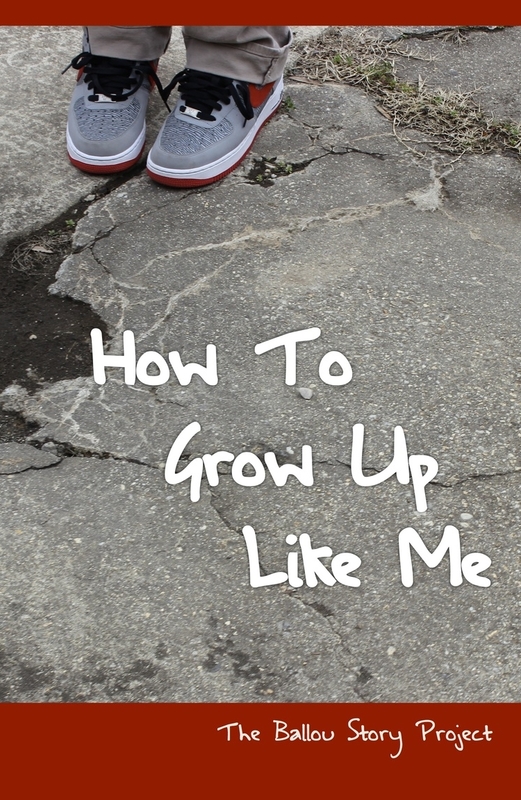 We meet grandmothers who do right by their grandkids, and friends who stick up for each other, and characters of all ages determined to do better: for their loved ones and for themselves. The result is an emotionally charged and psychologically astute exploration of what it means to grow up in a place like Trinitoga, told from the perspective of highly astute 11- and 12-year-old observers. No Replies to "Shootback and Shout Mouse Press: two books created by DC youth"